DUBAI, UAE: PRNewswire: Moorfields Eye Hospital Dubai (Moorfields), the first overseas branch of Moorfields Eye Hospital in London, was the winner of one of the top awards at the 11th World Health Tourism Congress (WHTC) 2016, presented at the gala awards ceremony held on October 5th at the InterContinental Dubai Festival City Hotel. Moorfields was presented with the ‘International Eye Clinic of the Year’ award for 2016. 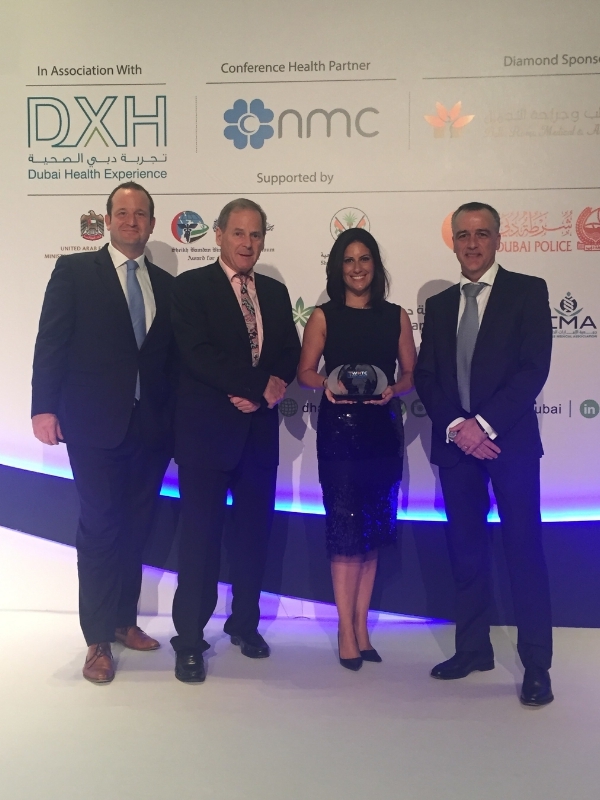 The 11th World Health Tourism Congress was held under the patronage of the Government of Dubai, Dubai Health Authority and Dubai Tourism Commercial Marketing. The congress brings together corporate purchasers of healthcare with world-class medical providers, including health authorities and major companies operating in the health tourism industry. Since opening in Dubai in 2007, Moorfields Eye Hospital Dubai has treated more than 100,000 patients from more than 180 countries, as well as local and regional patients. Moorfields also puts a strong emphasis on research and teaching, which are part of the hospital’s overall mission.